Realities of gunshot wounds. What do bullets do in bodies? In this introductory lesson, Dr. Shertz teaches the myths and realities of gunshot wounds. An excellent primer for anyone who carries a firearm personally or professionally. Note, this stand-alone block is taken directly from the Crisis Medicine Tactical Casualty Care courses and is included with each full course. This block discusses the reality of gunshot wounds. What do bullets do in bodies? The material is presented both from the standpoint of being shot, as well as shooting someone else. There are a lot of myths surrounding gunshot wounds and this block aims to apply science to the issue. 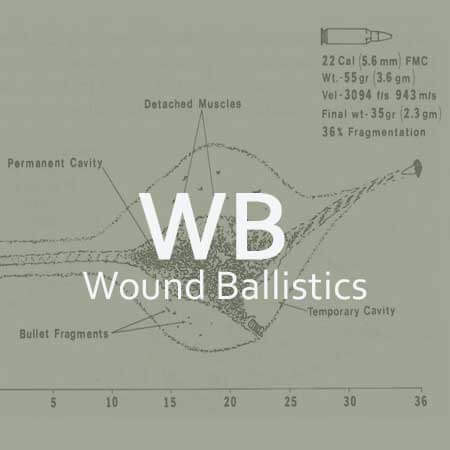 Learn more about wounding models, ballistic gelatin, and the history of modern wound ballistics. Note: This selection is taken from the TC2 course, available online. This 75-minute lesson is accompanied by the introduction to Dr. Shertz and Crisis Medicine (10 minutes). Not sure if you want to commit to the entire 7-hour Tactical Casualty Care course (TC2) online? Take the Wound Ballistics selection, let us know how you liked it, and we’ll apply $25 off your purchase price to the TC2 when you sign up. Available now: Gift Certificates. Give the gift of knowledge & understanding. Emailed gift card, delivered same day (or date of your choosing).